Now that fall is finally here, it’s time to get our homes ready for all of the cozy weekend cuddles, family visits, and holidays we’ll spend together. Let Libman help by entering this fantastic giveaway! 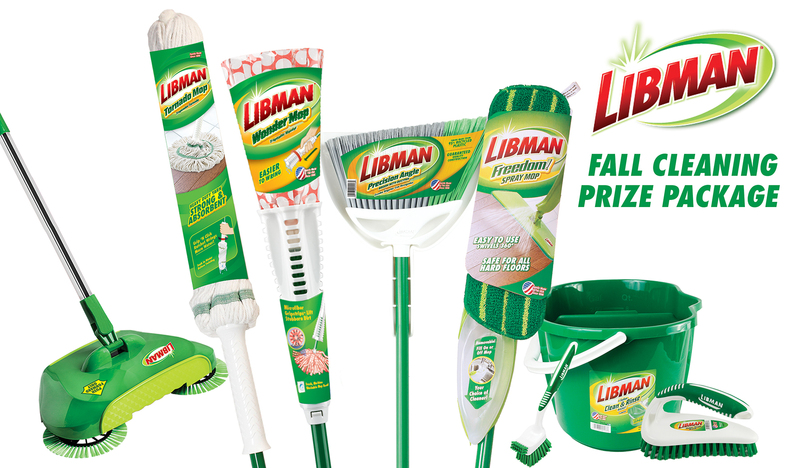 One lucky winner will receive a $100 prize package from Libman so they have everything they need to make sure their home is fall ready! 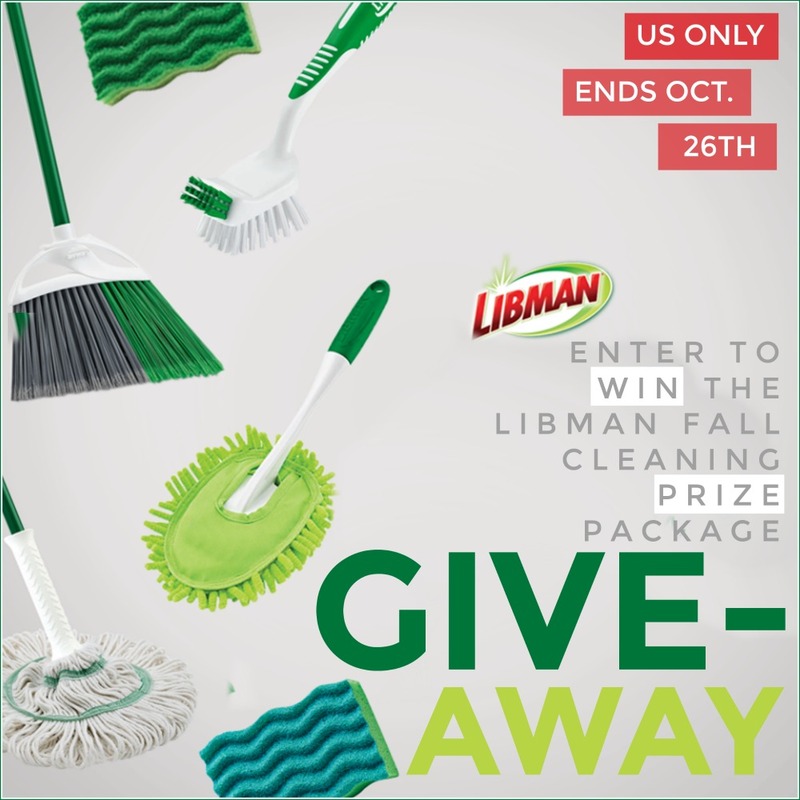 The Libman “Embrace Life’s Messes” Fall Cleaning Prize Package is valued at $100 and includes everything you could ever want in order to get your place in tip top shape! One winner will receive the new Spiral Sweep Broom, Wonder Mop®, Tornado Mop, Freedom Spray Mop, Precision Angle Broom, Big Job Kitchen Brush, Big Scrub Brush and 4-Gallon Clean and Rinse Bucket.